“Beast of Burden” is a song by English rock band The Rolling Stones, featured on the 1978 album Some Girls. In 2004, Rolling Stone magazine ranked the song #435 on their list of “The 500 Greatest Songs of All Time” and #433 on the 500 Greatest Rock and Roll Songs of All Time. In 1984, the song was covered by Bette Midler. Her version, which reached #71 on Billboard’s Hot 100, modified several lines of lyric (for example, changing “Pretty, pretty, girls” to “my little sister is a pretty, pretty girl”). 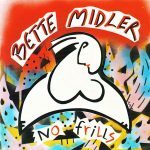 The track appeared on Bette Midler’s No Frills album. 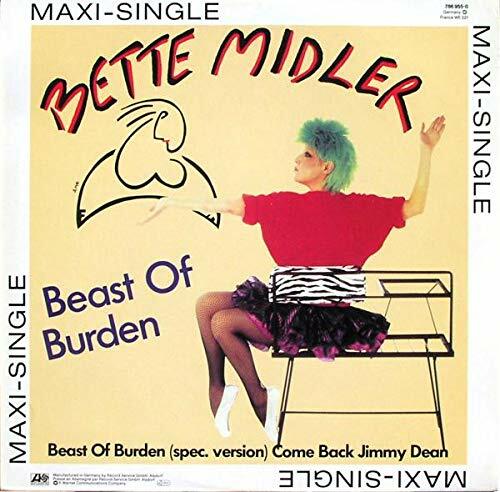 A music video was made for this version that started out with Bette and Mick Jagger talking in her dressing room before she comes out and performs the song with him on stage. As the song ends someone throws a pie at Mick, and Bette laughs at it until she gets hit with a pie herself. The video ends with a picture of both of them covered in pie in a newspaper with the headline “Just desserts”.